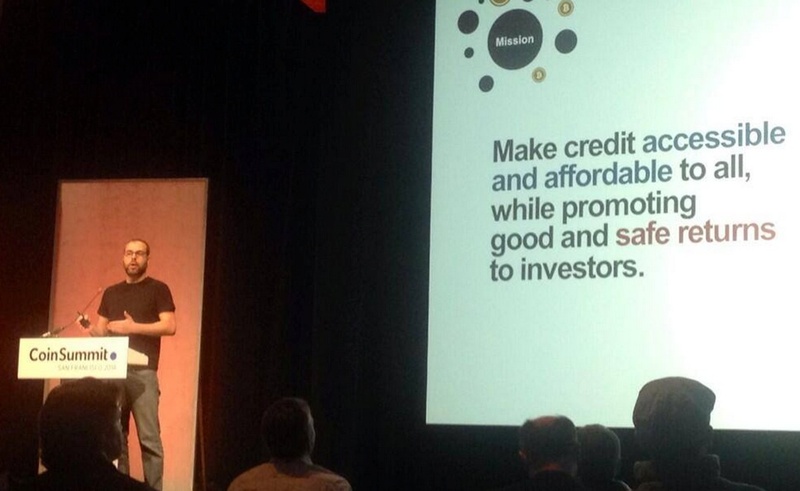 San Francisco-based startup BTCJam is taking peer-to-peer lending to a global audience, and is using bitcoin to achieve its vision. Bypassing the restrictions of fiat currencies, the company says, allows any individual in the world to receive a loan via its platform. While traditional wire transfers are costly and not always easy to set up, bitcoin allows approved BTCJam borrowers to receive funds almost instantly, wherever they may live and whether or not they have a bank account. However, Pitta reached his first stumbling block when he discovered the penalty for starting an unlicensed money-lending service in Brazil. “I noticed that if you do [lending] in Brazil, you will go to jail for 10 years,” he said. Pitta said that BTCJam has already funded over $5m in loans for people in over 100 different countries. In peer-to-peer (P2P) lending, investors team up to provide loans to individuals without going through a traditional financial body such as a bank. Over the last decade, the concept has taken off as an industry in its own right. 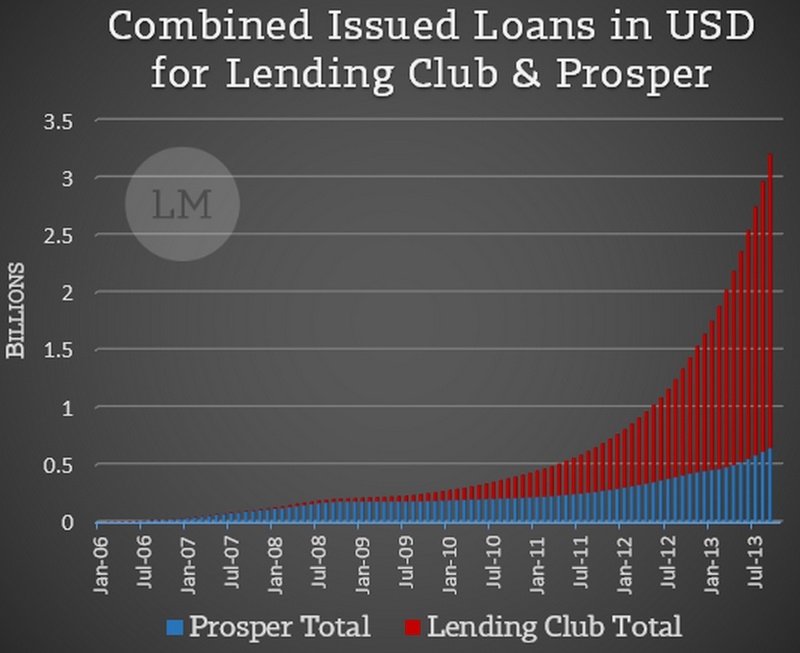 Last year, in the US alone, over $3bn was issued by the two largest P2P platforms for fiat currency loans, Lending Club and Prosper. 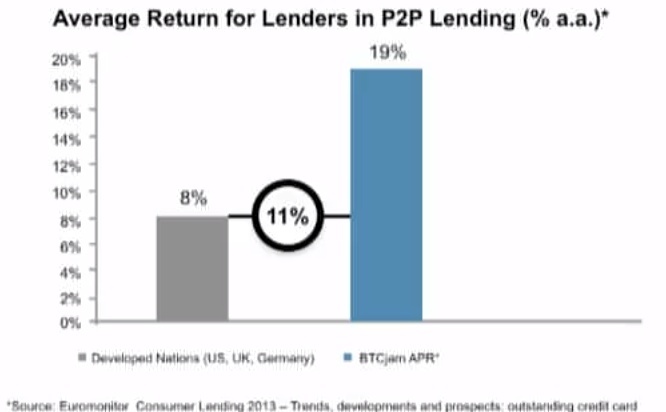 BTCJam believes that P2P lending is at least a $1tn market globally and, for bitcoin holders who start lending out their funds, the concept is a great value proposition. Pitta told CoinDesk that BTCJam’s marketplace usually has 20 investors per loan, who receive a return of 19% per year on average. Despite this, access to bitcoin loans at such rates still represents a good deal for many people, Pitta pointed out. In Brazil, for example, some lenders charge 10% per month to borrowers. BTCJam has also solved another problem that has limited many P2P lending sites to specific geographic areas. By building its own proprietary credit-scoring system that uses a type of artificial intelligence called ‘machine learning’, the company can rate the reliability of borrowers worldwide. When a user registers on the BTCJam website, a number of verifications can be completed to build up a score. Identity verification is required, of course, but there are also options that build up a reputation profile. The credit score verification dashboard within BTCJam’s interface. Users can link their social media accounts, prove income, validate a phone number and even upload personal references in order to prove creditworthiness without the use of traditional credit history – something many countries still have no established system for yet. Many companies offering remittance or other financial services in bitcoin often encounter what is known as a ‘last mile’ problem. The issue is that, although bitcoin is great for quickly moving money around the globe, it is almost impossible to spend for day-to-day purposes. 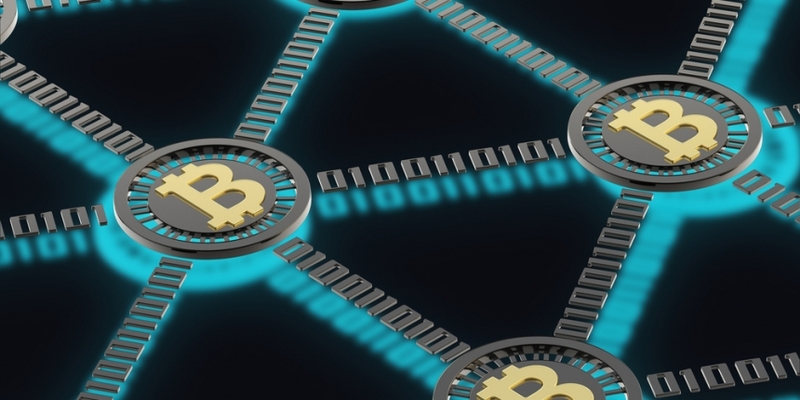 Although BTCJam has its own bitcoin wallet through which it funds loans, the company understands that borrowers need to exchange the digital currency for cash at their end. So the company arrived at a solution. “We are now integrating with local exchanges around the world. That will allow customers to convert to fiat once they get a loan,” said Pitta. For example, in the US, users can already link their BTCJam wallet to Coinbase and easily move funds into a US bank account. Furthermore, BTCJam has already integrated with exchange in Brazil called Mercado Bitcoin, Pitta said, and partnerships are planned with exchanges in Mexico and China, among others. While bitcoin has many advantages in its role as the conduit to move value, BTCJam still has to value loans in local currency to make the amounts more accessible to borrowers. “We allow people to make loans that are attached to the exchange rate in other currencies,” explained Pitta. At the time a loan is funded, BTCJam uses the CoinDesk Bitcoin Price Index API, which collects pricing data from a basket of exchanges, to price out the total amount in local currency. So, if the customer is in, say, India, the system will take the exchange price and calculate it in rupees. BTCJam incubated at the California-based 500 Startups accelerator in 2013, and earlier this year received a $1.2m seed round from a group of investors led by Ribbit Capital. 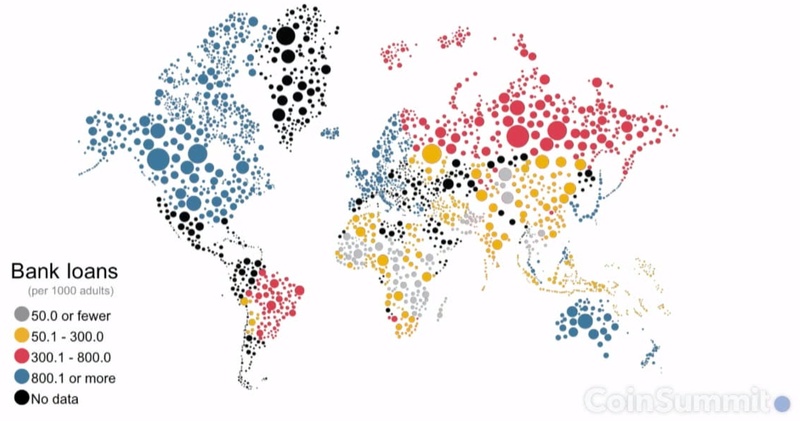 The fact that it has funded millions of dollars in loans through thousands of transactions is a clear sign that global P2P lending is a viable business. At the same time, however, BTCJam is taking on the role of a financial company and regulatory concerns are never far from the company’s mind as a result. “We’ve spent a lot of time thinking about [regulation]. We have a law firm working on it, and we want to comply with regulation,” said Pitta.